Saw a very interesting story on CNN this evening. 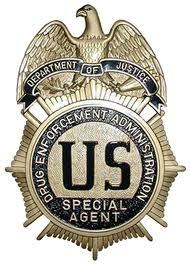 A college student was awarded $4.1 million dollars in a settlement relating to mistreatment by the DEA. The student was arrested along with 9 others in a raid of a home on April 20th, otherwise known as "Four Twenty" by recreation marijuana smokers. Allegedly, the student was locked in a dark, windowless cell for 5 days and nights and was forced to drink his own urine to survive. He shared a shocking story during the interview, literally trying everything he could to survive. He was unsuccessful in his attempt to strike the ceiling sprinkler to get access to water, as well as getting the attention of anyone outside his cell by sliding his shoestrings beneath the door. The interview did not share details of what would have led to the lapse of responsibility by the jail facility to care for their inmate, but it sounded to me like he was just forgotten about! In a last ditch effort to survive, he consumed his own urine and carved a goodbye note to his mom in his arm with a piece of glass. It turns out the urine actually saved his life, as he was immediately admitted to a hospital with severe kidney failure. Doctors during the settlement deliberations confirmed the patient's tactic for survival and not long after, the prosecution won the large 7 figure settlement for their client. The takeaway from all of this, however, came at the end of the interview. The back and forth between the student and the news anchor regarding the $4.1 million settlement really reignited my suspicion that most people have NO IDEA what to do with a windfall. CNN News Anchor: "$4.1 million is quite a bit of money. Do you have any plans?" Student: (5 second awkward pause) "I'm going to lock it up, protect it from myself." CNN News Anchor: "So, does that mean you're going to save it?" Student: (another 5 second awkward pause) "Um, um yes. I'm going for the retirement." I suppose it wasn't the worst response he could have made. I mean, after all, he was involved in a HUGE drug sting. Maybe he was still stoned? He could have said he's planning to toss hundred dollar bills out the top of a limo in Vegas? This is great evidence of the lack of financial knowledge many people have. Students in high school receive very little training on how to manage their money, and this student who is an ECONOMICS major, is "going for the retirement." Well Mr. Student, good for you! Now pick up a book about managing your finances. Its interesting enough to note that this student was never formally charged with any crimes. I guess the DEA felt guilty enough to let him off the hook in addition to giving him $4.1 million dollars. To be honest? I don't think he'll have a dollar left of it by his 40th birthday. What are your thoughts? Are most of the people you know oblivious to their finances? Share your thoughts! I think it's hard to say, we don't have enough information about the guy. I read this story yesterday and thought it was pretty crazy. As for not being charged, I read that the agent put him in the holding cell and told him that he would be released as he was just in the wrong place at the wrong time. Sure he might have went to a party to smoke up, but I think the DEA was looking for traffickers/sellers, etc. Then the agent just forgot about him. I'd like to know if there was any discipline of him, and whether the DEA has changed their procedures to prevent this from happening again. The student was an engineering major who changed to an economics major. The kid said he was gonna lock up the money and protect it from himself...and save it...that's a pretty good start. I know plenty of college kids who'd probably go to Vegas and make it rain! Inside conventional schools and colleges professional essay writing services the part of the teacher has remained to a great extent unaltered. Uncommon Student Education, famously known as Exceptional quality paper Education for the most part alludes to the education that is fundamentally implied for youngsters who are experiencing physical or mental incapacities. The school, as a component of the affirmation procedure, assesses earlier courses and accreditations.MURANG'A UNIVERSITY OF TECHNOLOGYThe preferred standpoint: No additional charges for the Foreign Transcript Evaluation. Hence, the official MUT judges of the exams surely are not the wellspring of this data for the Bar prep organizations to distribute. Do you need financial help with your higher studies? You may be able to find a lender who small short term loans easily and you can make your dreams come true. Hey, very nice site. I came across this on Google, and I am stoked that I did. carmel public school vazhakulam I will definitely be coming back here more often. Wish I could add to the conversation and bring a bit more to the table, but am just taking in as much info as I can at the moment. Thanks for sharing.